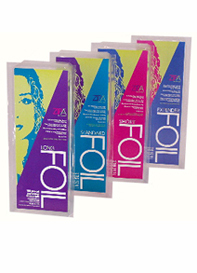 If you can get beyond the fancy packaging, try buying your foils in bulk and save up to 30%. See our growing list of distributors. If you would like to be added, please contact us. Welcome to our purchasing center. Regardless of whether you are a Beauty Supply Distributor, OTC, Salon Owner or Independent Hairdresser you've come to the right place for service. We pride ourselves on attention to the smallest detail. You may take comfort in knowing that you are buying beauty products manufactured in the United States and each sale contributes to an American job. Please support our beauty supply distributors whenever possible. Our standards are high and we only sell through beauty supply distributors that are willing to provide the level of service you deserve. Regardless of how you purchase, our mission is to insure that you receive quality beauty products delivered on time and for a fair price. Do these now in your salon! As a courtesy to our customers, we offer flat rate shipping of $2.00 per item for orders placed online. Regardless of weight or size of the single item, it ships for $2.00. Please take advantage of our bulk and bundled items designed to ship as a single $2.00 flat rate item. The $2.00 Flat Rate policy is limited to Commercial Continental US Shipping Destinations only. International Shipments and shipments to Hawaii or Alaska, do not qualify. Please read our complete shipping policy by selecting the link below. Refunds are limited to the return of unopened packages or defective products only. All customers must contact PWAI, LLC/ZipA Foil before returning any item for credit, replacement or refund. A printed documented return authorization must be granted by PWAI, LLC/ZIPA Foil before any refund, replacement or credit is granted. We will not accept returns or grant refunds for any return not documented and granted by the return authorization process. Refunds or Credits granted are limited to the cost or replacement of the product only and do not cover shipping cost. It is the responsibility of the purchaser to cover the cost of returning any item for refund. Defective Products will be replaced with a similar product and not subject to financial refund. DVDs may not be returned for refund since we are unable to determine prior viewing. DVDs are limited to the replacement of defective products only. DVDs require manually operation of your DVD player control to toggle between the three chapters. First chapter is a bonus review of the basis and the same on all DVDs. Chapter Three is the main feature purchased. Keep your eye on this section. Soon we will provide a full line of related products from steam processors to hair colors. 6. Open a commercial account, login and purchase here. If you experience any problems while purchasing, please let us know. We value your opinion. 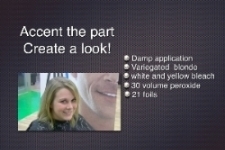 Get full foil results using less than 30-ZipA foils. Please check out our educational section. Have you ever purchased an item on the internet and thought you were getting a great deal until you looked at the shipping and handling fees. No surprises here, regardless of size, weight or cost pay only $2.00 for delivery of any single item to your door. Save on the gas!! This is a limited special for Continental US salon customers only. We offer other specials for international and wholesale customers. We highly recommend that first-time ZipA foil users purchase a Stater Kit, this will insure you have the right tools and education to reference. 6. Cash at point of sale only, do not mail cash. 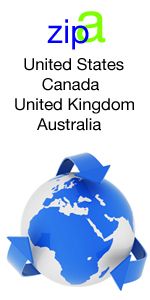 We value your business and we have prepared some great deals based on your country of origin. Please select the above link to be directed to our international specials.